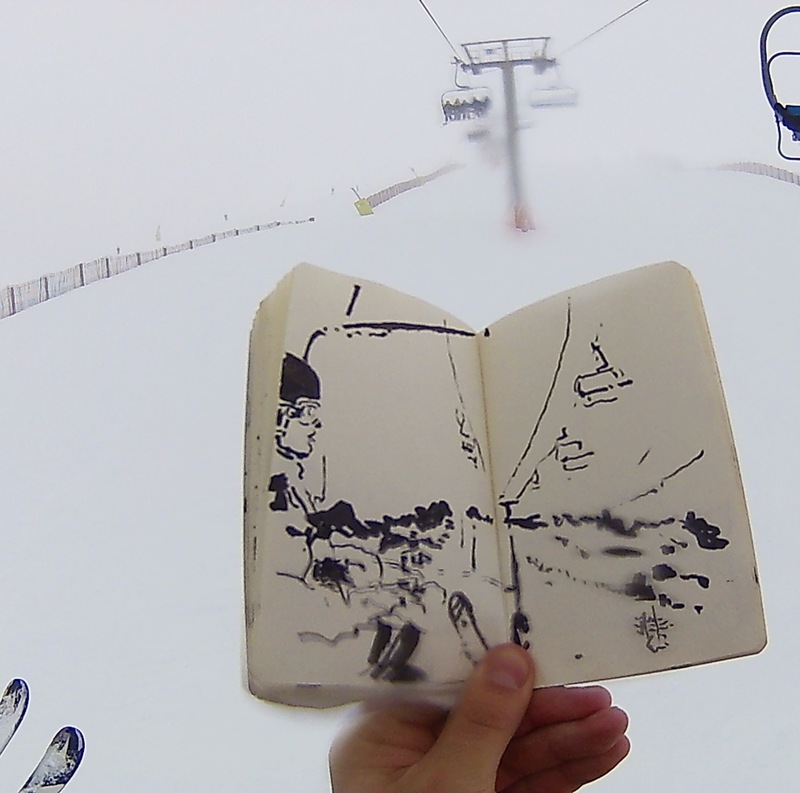 This morning, sketching and snowboarding.The drawing conditions were much better than yesterday: no snow falling and we even got some sun! 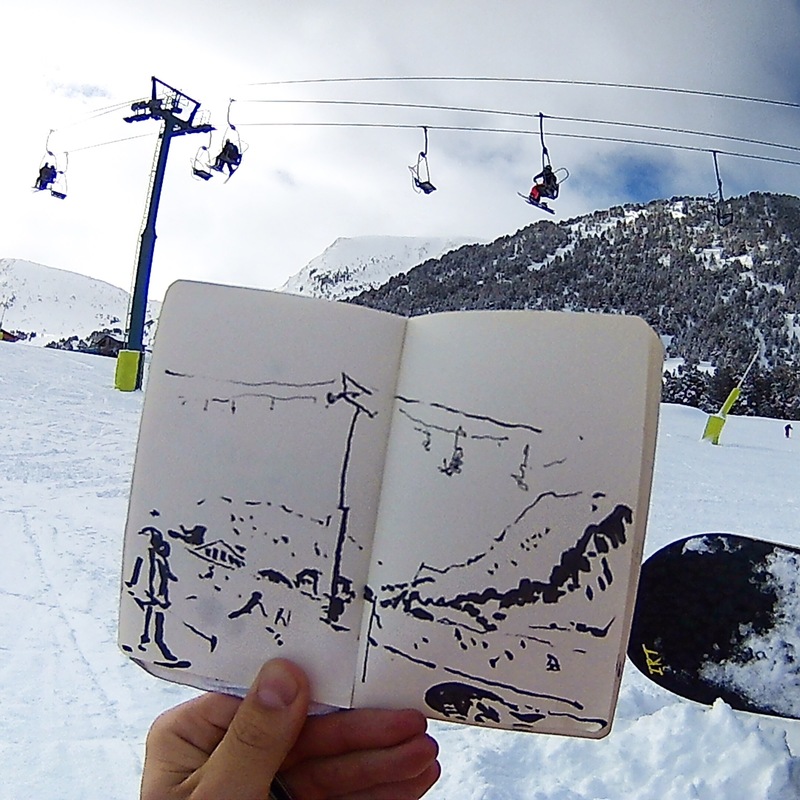 This afternoon, sketching and snowboarding 🏂, while snowing ❄️ at #el tarter #grandvalira . 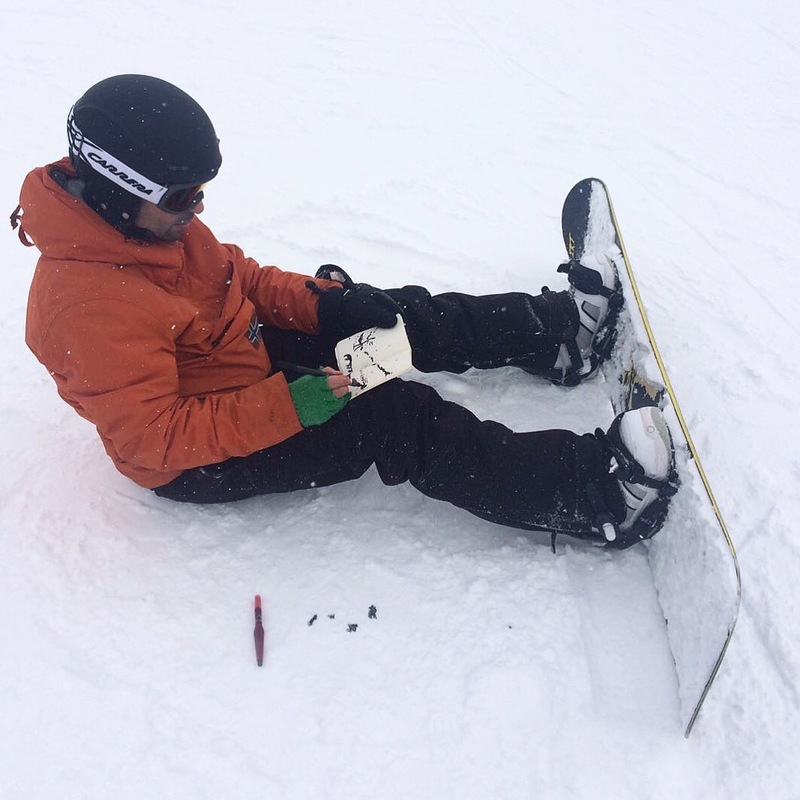 Oops I left some black stains on the white #snow!